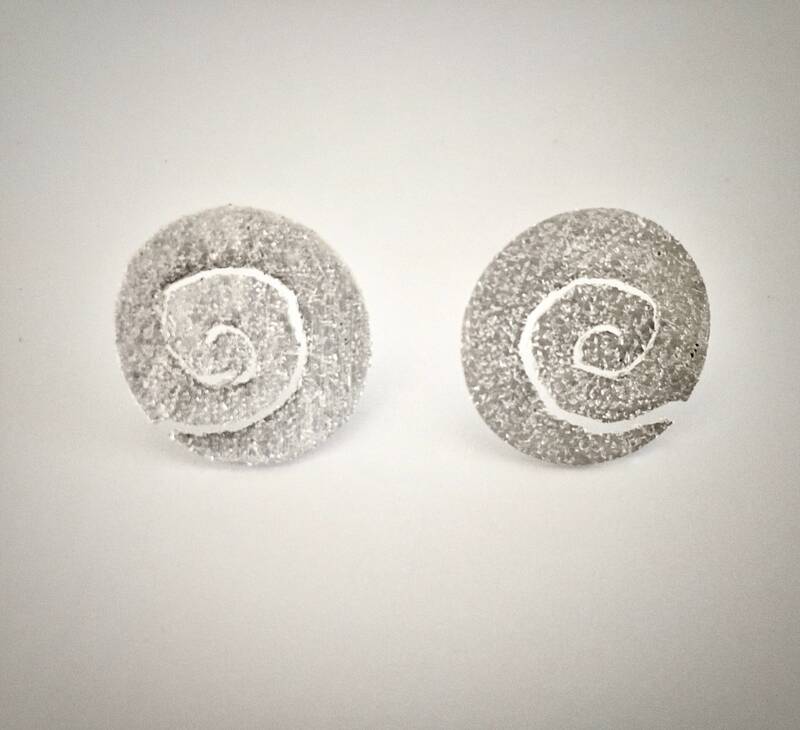 Eye-catching stud earrings made of oval discs of textured Sterling Silver with a spiral pierced spiral design. Earrings measure approx. 5.5 X 3.7mm. Sterling post is placed at top so earrings hang horizontally on earlobe. Sterling earring back.